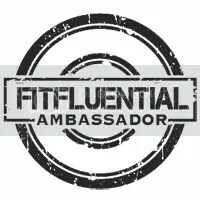 Fine Fit Day - A fit, healthy lifestyle begins today! February and March in the Northeast are particularly brutal for keeping you working out mojo going strong. How do you stay motivated to work out when it’s cold outside…and grey, and icy, and often dark? As someone who is definitely happiest when it’s sunny and warm out, I have some tips for you on how to stop from curling up into the fetal position when the winter feels like it will last forever. So, what are the 3 best ways to stay motivated when winter just won’t quit? It’s pretty simple, it’s all about finding your why, stepping out of your comfort zone, and finding a way to treat yourself. My clients know, and I know, that the way to keep yourself motivated is to have a goal in mind. Your goal is your WHY that will keep you going when it’s hard and when you’re doubting yourself. Right now I am training people with a diverse set of goals, and while their goals and their internal motivations might all be different, what keeps them going is knowing they are working towards something concrete. MEASURABLE: You will be measuring in time (minutes) and distance (parts of a mile) how far you are running each time you train to work toward your goal. ATTAINABLE: Notice for a ‘start running’ goal we’re not deciding to sign up for a full marathon in 2 months time. Picking an attainable goal is important not only for success, but to avoid injury. RELEVANT: This is your why. If you have no interest in running, hate everything about it, and have chosen it as a goal because your sister wants a running buddy, then your motivation is never going to materialize. Make sure the goal you’ve set for yourself is something you really want. TIME-ORIENTED: Without a time attached to your goal, hitting milestones has less meaning, and you’re not as motivated to keep going. “Be able to run a mile without stopping within 6 weeks” is going to be easier to work toward and achieve than having no goal date in mind. I miss running outdoors so much. I’ve tried a few times this winter, but we have had so much snow and ice and personal issues (i.e. my three-year-old broke his leg slipping on ice right before Christmas), that I resigned myself to mainly working out indoors. A few weeks ago, though, my boyfriend and I had a rare day off on the same day, and we spontaneously decided to go cross-country skiing in the morning. It was so much fun! We did it for fun, not because we wanted to work out, but I was feeling it for the next couple of days in my hamstrings and abductors, for sure. For next winter, I am planning on buying a set of snowshoes so I can make getting outdoors to work out easy and quick. There are so many skiing and snowshoeing trails around here, and I literally can leave my house and be on a trail in under 2 minutes. Your ‘something new’ doesn’t need to be outdoors. If you’ve tried and failed to be outdoorsy in winter, then find something indoors to try. Join (or try out) a gym, take yoga, find an indoor pool to go swimming, give indoor rock climbing a try…you might be surprised at what is available in your area. These running snowshoes from Crescent Moon. These cool tights with feet/stirrups (I want to test these out for yoga!). A pair of spinning shoes so I can clip in while teaching (or taking!) classes. I have this Under Armour tank in orange, and I love it. The neckline is perfect, the fit is great, and it is so comfortable for working out. I think I may need it in every color now. This aqua running belt so I can add pool running to my fitness routine. 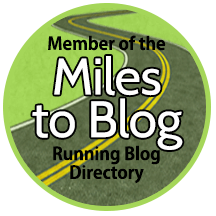 Editor’s note: Some of these links are Amazon affiliate links, so if you buy through these links Fine Fit Day gets a referral fee at no cost to you…thank you for supporting the blog! I share photos of running, workouts, my adorable boys and more on Instagram! I'd love to connect with you - and thanks for reading!